Below, we’ve compiled a list of schools, camps, and workshops for women, ladies, girls, gals, female gendered human beings, what have you, to obtain a fantastic music education. They host a number of camps throughout the year for girls aged 6-18, and also host Ladies Rock Camp for those 19 and older to help raise funds for the Rock’n”Roll Camp for Girls. Make sure to check their website for full info on each participating camp. 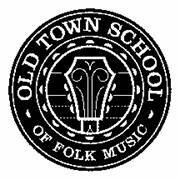 For over 50 years, what has set the Old Town School of Folk Music apart from other music teaching programs has been the philosophy that music is for everyone. Young and old, beginners and advanced players, people from various cultures and traditions come together to create music and learn from each other. WAM is a non-profit organization dedicated to the advancement of women in music production and the recording arts. In a field where women are chronically under-represented (less than 5%), WAM seeks to “change the face of sound” by providing hands-on training, experience, career counseling and job placement to women and girls in media technology for music, radio, film, television and the internet. Musicians Institute offers a comprehensive, hands-on education in contemporary music performance, recording, guitar making, music business and film. Study bass, guitar, keyboards, durms, and vocals while earning a Bachelor of Music in Performance, Associate of Arts in Performance, Certificate in Performance, or Non-Certificate Training in Music. Alverno College is a four-year independent liberal arts Catholic college for women, offering degrees in Music and Music Therapy. Barnard is a four-year liberal arts college for women founded in 1889 offering music majors through the Barnard-Columbia partnership. Students on both campuses choose from a wide array of courses and academic resources and take part in a great variety of student organizations. Chartered in 1891, Meredith College has grown to become one of the largest independent private women’s colleges in the country. Women may choose to focus their major or minor on performance, music history, theory, ethnomusicology, or composition. As a music performance major at Peace College, you will take foundation courses in applied music, music theory, and music history, learn to record, edit, master, and produce your own compact discs. Students will also take classes that focus on copyright and contract law, marketing and the advancement of your own musical career. The Wellesley Collge Music Department provides an ideal educational environment for students who seek to combine serious musical study with the depth and richness of a liberal arts curriculum, because it offers both a highly regarded academic program and a wide range of outstanding performance opportunities. Performing, teaching, learning, composing, and conducting are the true passions of the Petrie students and faculty. Offering both undergraduate and co-educational graduate degree programs, the Petrie School treats music students as aspiring professionals from the moment they arrive on campus. Students have the opportunity to study music history, music theory, music composition, music education among other music programs. The Spelman College music department is an accredited institutional member of the National Association of Schools of Music, the accrediting body for music programs in higher education. Students can earn their Major or minor in Music. The music major at Mount Holyoke is designed for students with a wide range of interests, backgrounds, and career goals. It is intended to provide a broad and varied acquaintance with history, theory, and literature of music as well as to develop skills in performance, analysis and synthesis. The music program at Scripps offers students many opportunities to engage with music both intellectually and aesthetically through coursework and performance. The department offers courses in music history, music theory, and ethnomusicology. The Smith College Music Department is one of the largest departments in the college, with 17 faculty members who offer a broad array of courses in music history and literature, ethnomusicology, theory, composition, and performance. Particular areas of faculty interest include renaissance and baroque studies, 19th-century studies, 20th-century studies, world music, music of Southeast Asia, gender studies, criticism, and feminist studies. The music major revolves around a core curriculum of music history, theory, and performance that provides knowledge and skills basic to all musicians. In addition, music majors select one of four areas of emphasis: performance, theory/history, composition, or composition with an emphasis in media technology or electronic music. For a full list of National Association of Schools of Music colleges and university programs, please visit here.